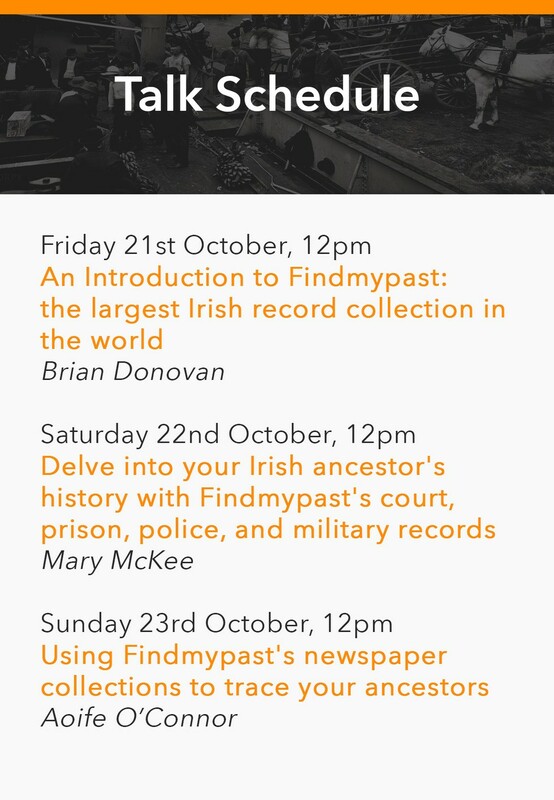 Once again, the Findmypast Ireland team are gearing up for the biggest family history event of the calendar - Back To Our Past. This is our sixth consecutive year at the show, which sees all of Ireland's major genealogy companies and societies come together for 3 days packed full of family history. Back To Our Past take place Friday 21 - Sunday 23 October 2016, in RDS, Dublin 4. 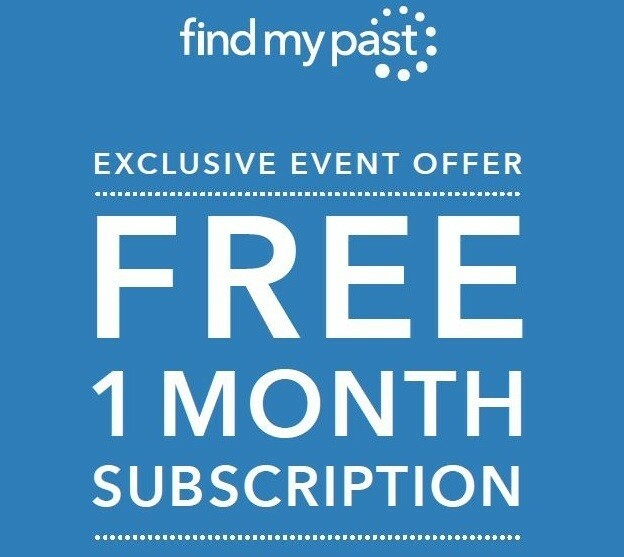 As always, our team of experts will be on hand to offer advice on tracing your ancestors and you'll be able to access Findmypast's entire collection of 8 billion records, completely free. As an added bonus, we'll be giving away a FREE 1 month Ireland subscription too, so you can take your family history discoveries home with you! Not only that, but there will be a series of talks over the weekend, some of which will be delivered by the Findmypast experts. See below for details and click here to view the entire lecture schedule. All this adds up to an exciting weekend for all family history buffs. Whether you're an enthusiastic novice or a seasoned researcher, you'll find something that takes your interest at Back To Our Past.